The Flexel range of glass designer radiators offers ultra modern, visually stunning far infrared heaters that will enhance any room’s aesthetics. Primarily intended for heating living areas they could equally be used in commercial applications in offices and reception areas. The heaters use advanced far infrared heating technology which works by warming the people and objects in a room rather than the air around them. 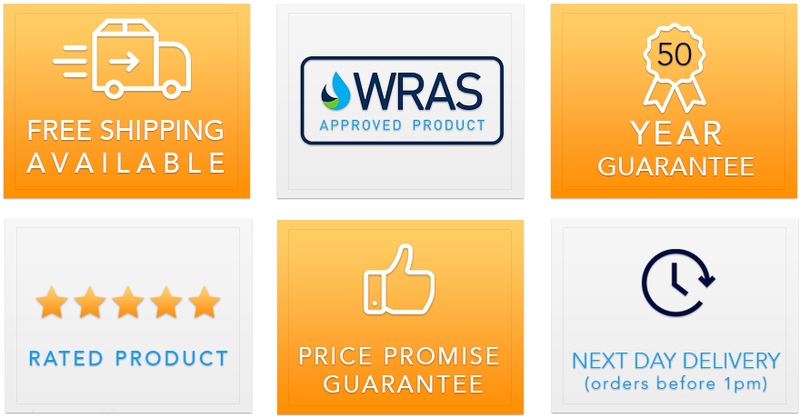 This provides an energy efficient and cost effective heating choice. 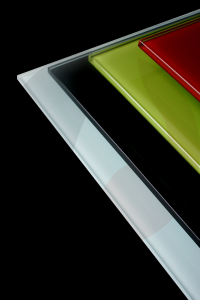 Glass designer radiators are designed to work with our range of underfloor heating thermostats. 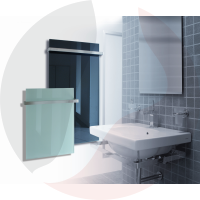 Glass panels (thermo fuse), IP44, Class II, Connection Cable:100cm; Designer radiators are manufactured in 4 series with different outputs. 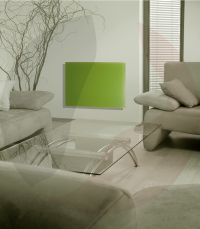 These far infrared heating panels are available in 5 colours: mirror,white,black,black,red,green. * Due to the fragile nature of the product,all designer radiators are dispatched on a pallet, subject to a £65 carriage charge. For applications where the designer radiator cannot be wall hung. 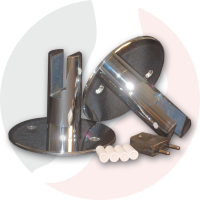 A set of chrome plated floor support plates can be used to mount the panel in the horizontal position. Designed to fit designer glass radiators. Suitable for vertically wall mounted radiators in bathroom applications. They are available as a single or double towel rail. The rails are made from polished stainless steel.